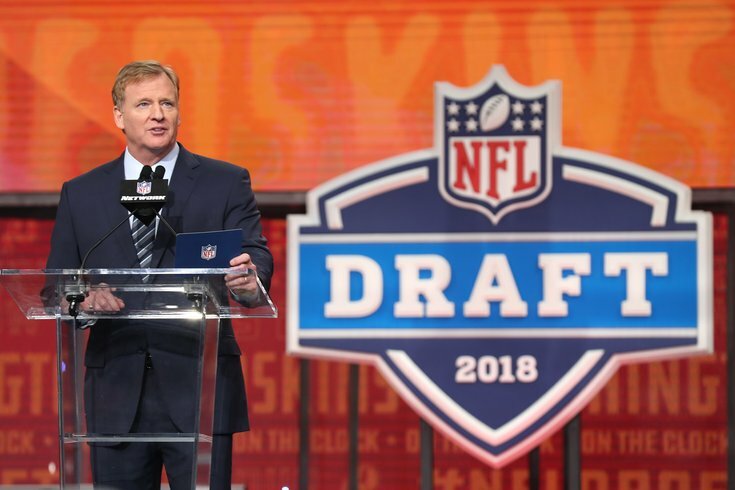 NFL commissioner Roger Goodell announces a pick during the first round of the 2018 NFL Draft at AT&T Stadium. The Philadelphia Eagles will (probably) make their first pick on Day 2 of the 2018 NFL Draft Friday night, after trading out of the first round on Thursday. Here's a place for you to discuss the first round as it unravels. If you haven't already bookmarked our extensive seven-round Eagles draft board, you're a terrible person and I hate you it's not too late. Earlier in the week, we took a look at 20 players who could make sense for the Eagles in the second round. Will the Eagles make a pick this time around? Will they trade back again and accumulate even more picks? Will they trade a player already on the roster? Will someone troll the Dallas fans? Join us here to discuss.